A few weeks ago the Games Gradshow was in full swing, showing off final year undergraduate work from students on the BA (Hons) Computer Games Design and BA (Hons) Game Art courses. It was pretty busy from the get go, with lots of people coming to visit from local games, animation and media companies. 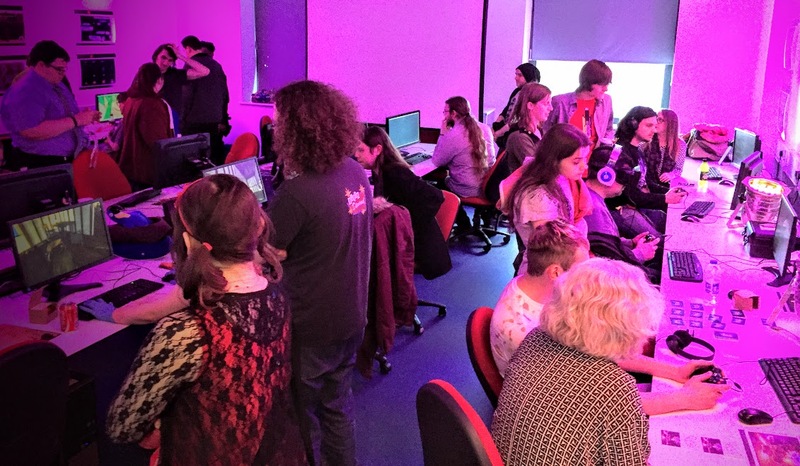 If you missed the show, you will be able to see a selection of the work at the Wales Games Development Show on the 19th June… http://walesgamesdevshow.org/ or you can take a look at this year’s showreel. If you are interested in joining one of our courses, we have a Postgraduate Open Day on 17th June an Undergraduate Open Day on the 4th July.